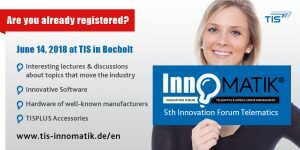 Are you already registered for the 5th InnoMATIK of TIS GmbH? 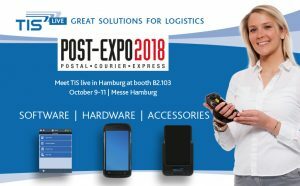 We invite you to Bocholt for an interesting day of exchange and networking. You can expect trend-setting lectures by our guest speakers on current industry topics and interesting information about the logistics industry from our TIS experts. We invite you to Bocholt for the 5th Innovation Forum, to exchange and to network. 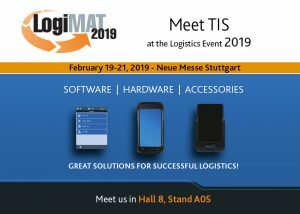 In addition to top-class lectures by our guest speakers on current industry topics, our symposium also provides information on the logistics industry by TIS experts. Visitors also get rare insights behind the scenes of TIS, which are usually not public in this form. It is worthwhile to be there! The number of participants is limited. Please register! Visit our in-house exhibition InnoMATIK in Bocholt in June. Find out more here. Also, do not miss these webinars at TIS in April! 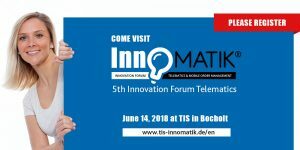 In June, we invite customers, partners and interested parties to attend the InnoMATIK, our in-house exhibition at TIS, for the fifth time. On April 19th, interested parties will get the opportunity to visit our premises as part of the “Tag der Logistik (Day of Logistics)”. 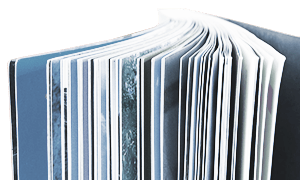 Also in this issue: our webinars in April. On May 25th, the European Directive DSGVO becomes effective. In this issue we report on our preparations. This also means that we have to conclude written contracts for “data processing” with our software service customers by this date. If you have questions about this and other topics, we are always happy to help.